We invite you to join us in an exciting new project for the McFarland, Wisconsin, area community. 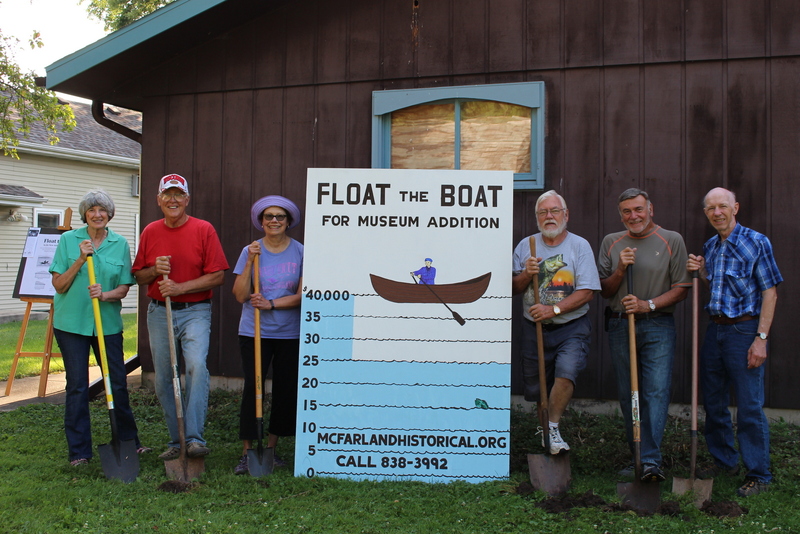 This project, an addition to the McFarland Historical Society Museum on Main Street, will provide a place to restore a hundred year-old double-pointed rowboat used on Lake Waubesa many years ago, and it will eventually feature a new “Lure of the Lakes” display. It will also have a multi-purpose room to be used for records organization and preservation, for meetings, and for working on displays. 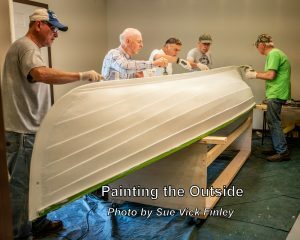 John Wendling is naming the boat after his wife Ruth Larson Wendling, youngest daughter of Obed Larson and granddaughter of John O. Larson. John and Obed started Larson’s Beach Resort on Lake Waubesa in 1906. 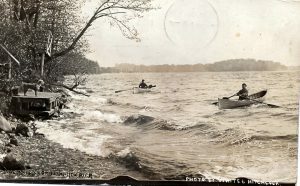 Obed rowed over to Turville Point in Monona to pick up six double-pointed row boats for the campers at their resort to use. 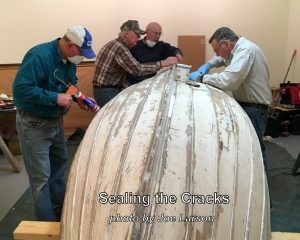 The Wendling’s personal histories will be posted near the restored rowboat. Corrine Niedenthal named the meeting room. She helped write her interesting personal history. Though Corrine died in 2016, her history will live on for all to see in the Museum. John and Corrine each gave $10,000 towards the project. Others have given at the Platinum, Gold, Silver, Bronze, and Pewter levels, and others have made donations to be in the “Float the Boat” book. These will be displayed in the Museum Lobby. Some of the donations honor the donors and others honor loved ones of the donors. The only requirement is that those being honored must have been active, contributing members of the McFarland area community. Thus, the entire project will help preserve local history. 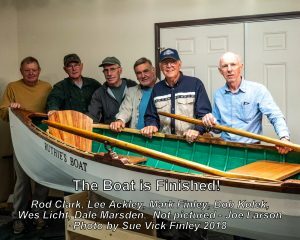 Thanks to many generous donors, the new addition is completed, the boat has been restored and it was even tested in Lake Waubesa on June 2, 2018. Just as it was once used at family-owned resorts along the lake in the early 1900’s, our rowboat was sea-worthy, handled well and took in no water. 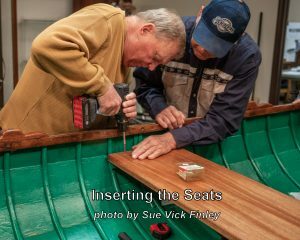 Thanks to the dedicated work seven boat restorers – Wes Licht, Dale Marsden, Rod Clark, Bob Kolek, Lee Ackley, Joe Larson and Mark Finley, our double-pointed rowboat looks almost new. 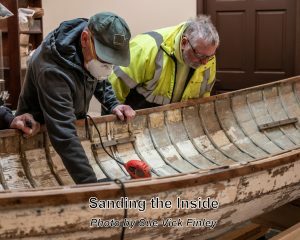 They used old photos of these rental rowboats that were made at Turville Boat Works to aid in their restoration. 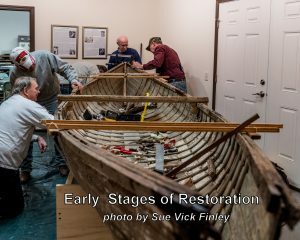 The boat is now back in the new addition to the McFarland Historical Society Museum at 5814 Main Street, McFarland WI. Donations are being accepted to complete the display in that room and for new shelving in the records room that is also part of the new addition.